Keep up to date with our special events such as trunk shows, sample sales and new stockists. 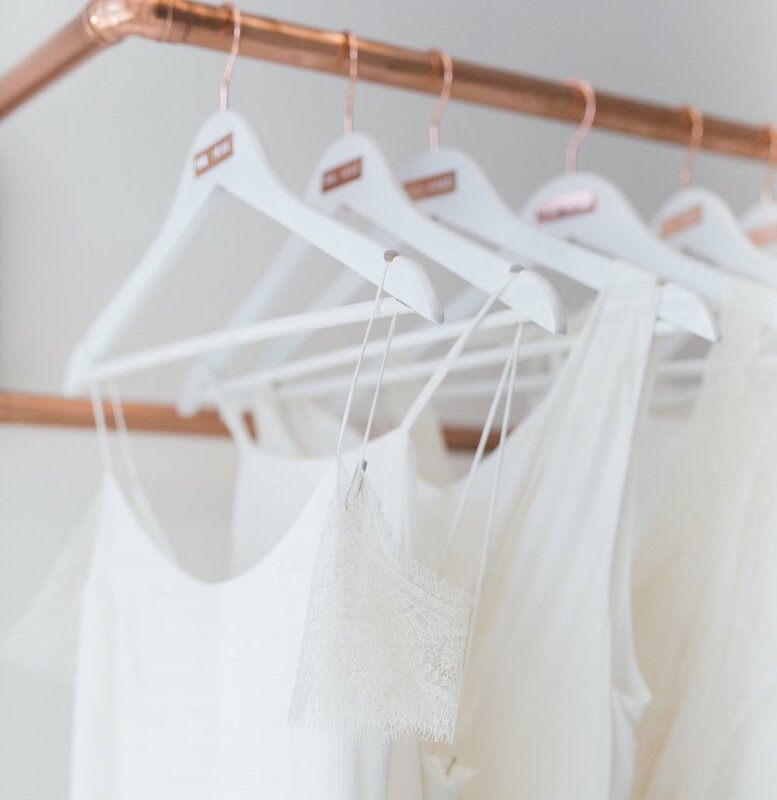 Our first permanent northern stockist, we are delighted to have been chosen for the rails of cool bride boutique The Aisle, in the West Yorkshire spa town of Ilkley. Calling all Irish Brides! Archive 12 is a new style of bridal boutique, offering a unique edit of original vintage and designer wedding dresses. They cater for bohemian and modern Irish brides, who think outside the box and want a wedding dress that truly reflects their personality and style. We're super excited to be featured at lovely Claire's oh-so-stylish boutique from 20th-30th November and with special discounts available, book now to enjoy your relaxed anti-bride appointment in the team's expert hands. This summer we've been hanging out at fun time Essex boutique 'Rock the Frock'. Twirl around with Karen and her team for a few more days only as we've extended to September 10th 2017. 'Continually frustrated by the lack of short wedding dresses, alternative, vintage and inspired wedding dresses on offer, I decided to start my own boutique to serve those brides just like me. We’re not all about long, strapless gowns covered in bling and why should we have to settle for something less than amazing? Just 25 minutes from Liverpool Street on the train and accessible easily from A roads by car, our beautiful boutique is situated in the middle of Chelmsford City Centre. Be sure to bring your mums, friends & maids for a wonderful whole day out here in Chelmsford!' - RTF.